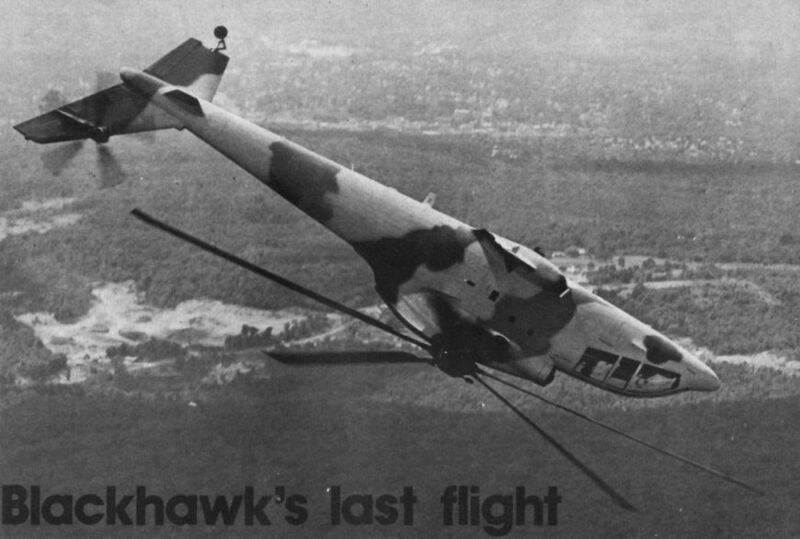 The Blackhawk in its original, handsome all-black scheme. 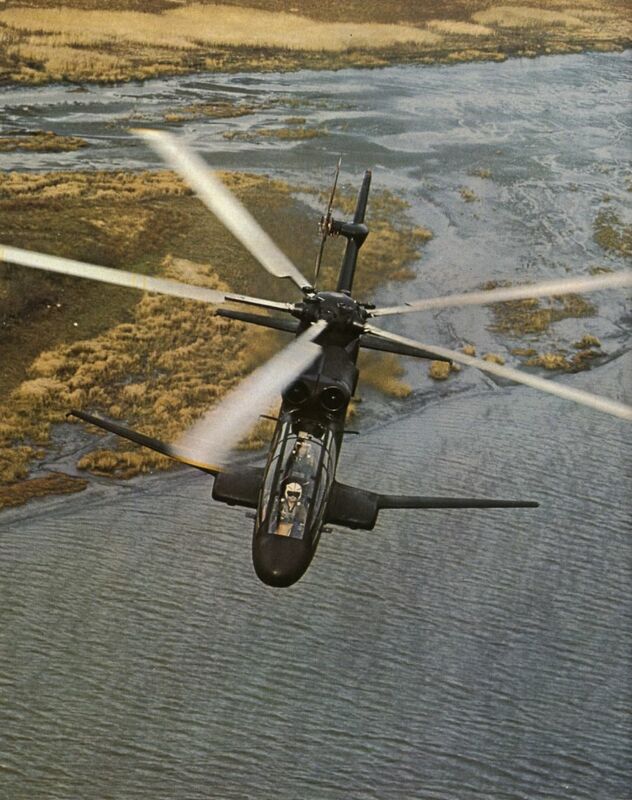 Picture shows the one and only Sikorsky S-67 Blackhawk rolling into a split-S turn in 1974, shortly after repainting in a camouflage finish. 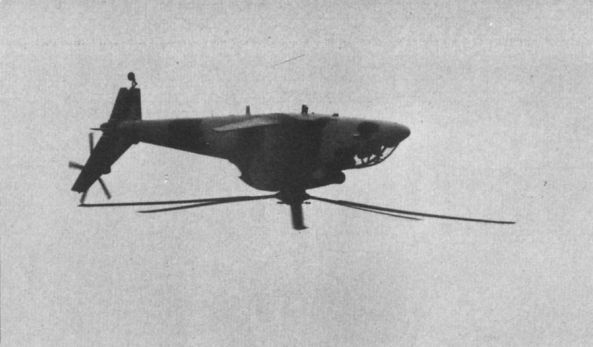 The world speed record for helicopters in its class is still credited to the S-67. The Blackhawk inverted over runway 07 and travelling east, only seconds before it hit the ground. Still descending rapidly, the S-67 has now turned to port, with condensation trails forming at the tips of its rotor blades. It is over the grass, and its port wing is only inches from the ground. 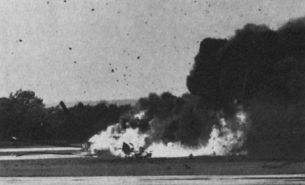 The moment of impact, with the aircraft still travelling forward and large sections of broken rotor blades hurtling toward the camera. Exhaust ignites fuel vapour and fire breaks out.